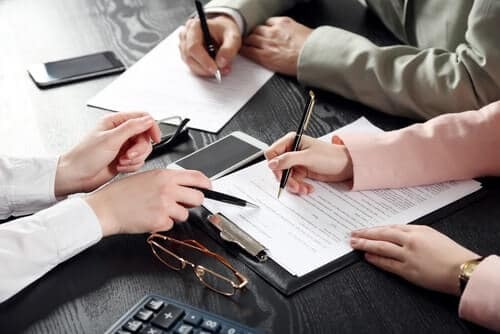 Indemnity policies have been created by the insurance industry to fill the gaps that sometimes occur in the conveyance process when documents are missing. It is effectively a form of insurance to cover defects in property in the case that a third party might make a claim. Indemnity policies are used to cover a wide range of risks, with the most common policy tending to relate to a lack of Building Regulations or Planning Permission. This would cover the cost of any works required to be carried out should the Local Authority serve an enforcement requiring the owner to alter or remove any work that does not comply with Planning Permission or Building Regulations. An indemnity policy for lack of Building Regulations, Planning Permission and Covenant consent is effectively a piece of paper that replaces the Final Certificate from Building Control, Planning and the original developer for any works that have been done. A conveyancer should accept an indemnity policy when you come to sell the property and thus make it easier for you to sell in the future. Restrictive covenant: required when the title of the property contains a restrictive covenant which has been breached. Missing information: required when important documents containing unknown restrictive covenants or restrictions have been lost. The absence of easement: required when no legal rights of way, or rights to connect into services, exist. The absence of build over agreement: required when the Local Authority’s consent has not been obtained for building works to be erected over a sewer or pipe. This is not an exhaustive list and many other indemnity policies are available. Indemnity policies are a simple alternative to rectifying issues relating to the property. They offer a quick outcome to the potentially expensive and time-consuming process of contacting the relevant third party to obtain the desired remedy. Indemnity policies tend to be requested by a solicitor acting on the purchase of property when a potential risk has been revealed, particularly where the buyer requires a mortgage. It is a one-off premium which covers the property and is therefore transferable between owners. The policy will last for many years – the exact length of this will depend on the insurer. An indemnity policy is not a guarantee that any works which have taken place are structurally adequate and it will not provide cover if any works which have been done prove to be substandard and your insurer may not cover any defect. If you accept an indemnity policy it is therefore for you and your surveyor to satisfy yourselves that the works are structurally adequate. Clearly, the passage of time is one factor that may give you some assurance of the quality of the work. Having said this a Final Certificate from Building Control and retrospective approval is only a certificate that the works were completed in accordance with the Building Regulations at the time. It is not a guarantee of the works and will not provide cover if problems occur. When purchasing a new house you would wish the Seller to provide confirmation from Building Control that all the works are up to current Building Regulations. As the standards are continually improved the works can only be judged on today’s standards and the Seller may be reluctant to go down this route. Please also note that if either party approaches Building Control in respect of the works the insurers may not be prepared to give cover. This is because indemnity policies work on the basis that no third party has been made aware of the defect or potential risk – so if you are asked to provide an indemnity policy, you must not contact any third party as this will invalidate it. The cost of the policy will be dependent on the purchase price of the property and the risk that the policy is insuring against. The prices of policies can range from around £50 to a £200. However, this is often seen as a small price to pay in order to get a sale agreed. In summary, an indemnity policy is a piece of paper used in the conveyancing industry to deal with the issue of missing certificates from Building Control. If you are satisfied that the works are structurally adequate it should give you the peace of mind to know that it will be acceptable when you sell the property. Harrison’s Solicitors provide an expert conveyancing service in Reading, Woodley, and Caversham. Our experts will take care of the whole process for you, offering all the advice you will need. We understand that Indemnity policies are complex and challenging to understand which is why we are as clear as possible in all the work we carry out. For more information on our conveyancing service, please see the contact details for our branches below.